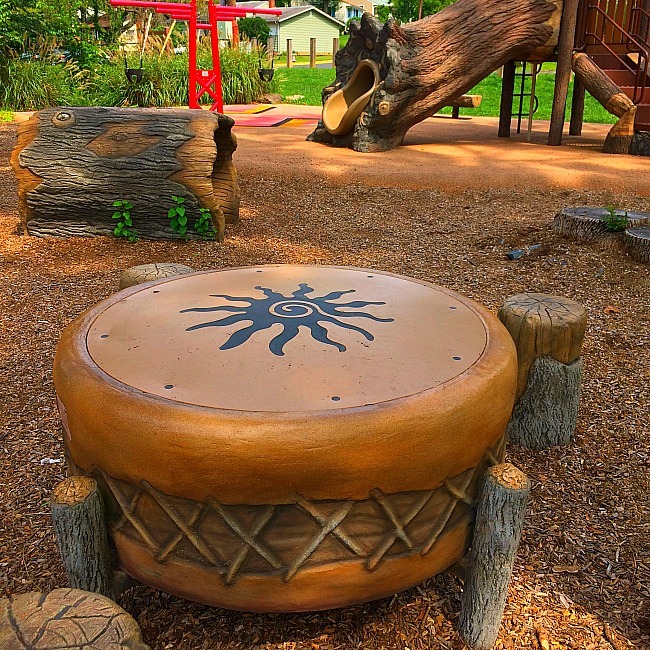 These 8 Prince George's County Imagination Playgrounds Are Amazing Too! 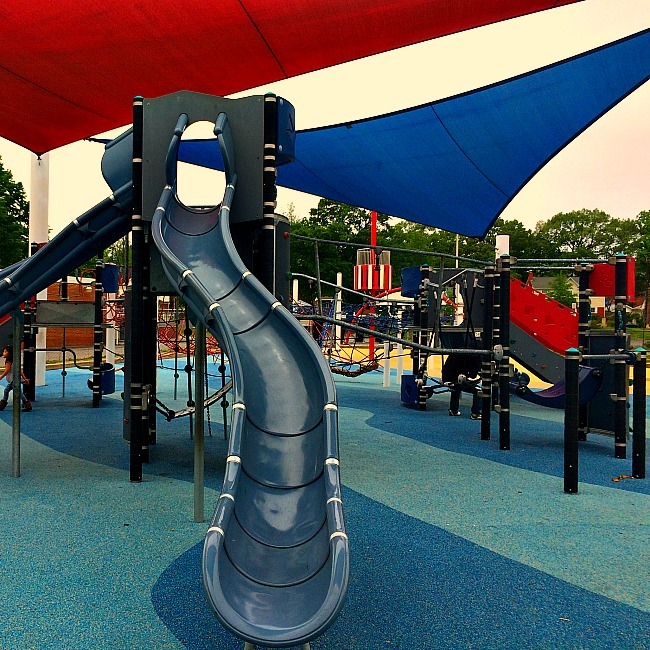 These 8 Prince George’s County Imagination Playgrounds Are Totally Amazing Too! 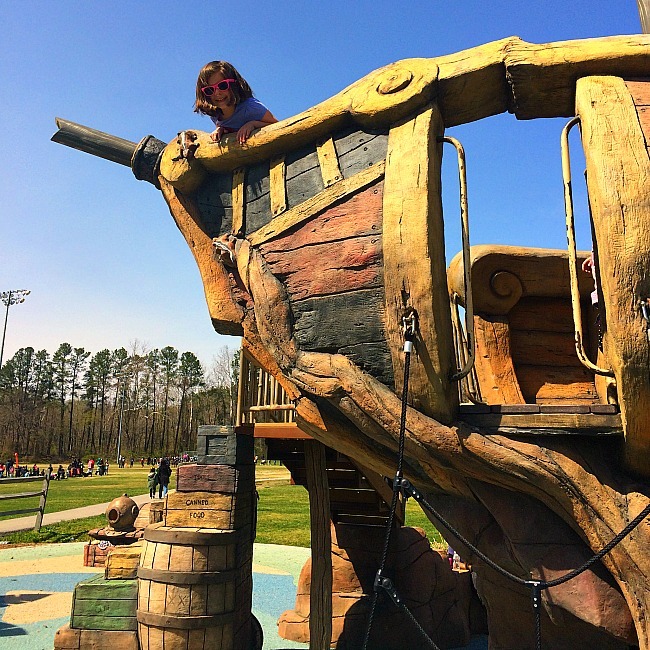 Can you even believe there are 25 amazing Imagination Playgrounds in Prince George’s County? The thing is, all of these 25 imagination playgrounds are pretty rad and such a great invitation for area kids to play, play, and then play some more. 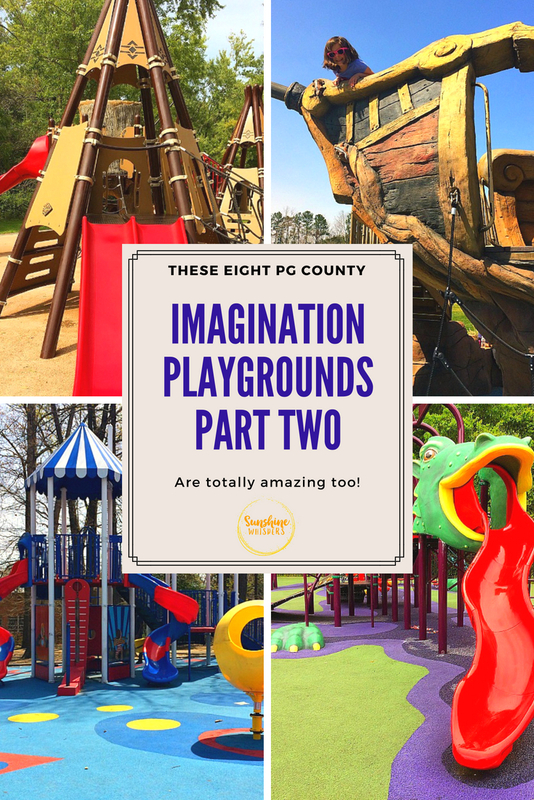 In the first part of this series, I reviewed our favorites out of the 25 Imagination Playgrounds. However, these next 8 are completely awesome as well. 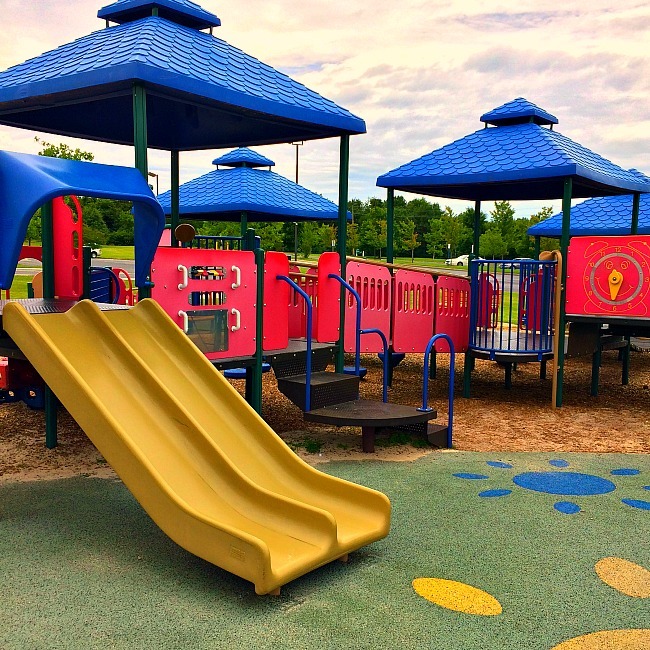 Read on to find out which ones are great for little kids, older kids, which playgrounds have swings, and which playgrounds will make you want to resurrect your own inner child and play along with your kids! And don’t skip the end! I have a Google Map with all the locations embedded at the end of this post! This is one of the smaller Imagination Playgrounds but the theme is so cute we instantly fell in love! I mean, how can you argue with the opportunity for your kids to climb up the spine of the dragon and then slide down its tail! There is also a Castle play area (not pictured) that replicates a small medieval castle. 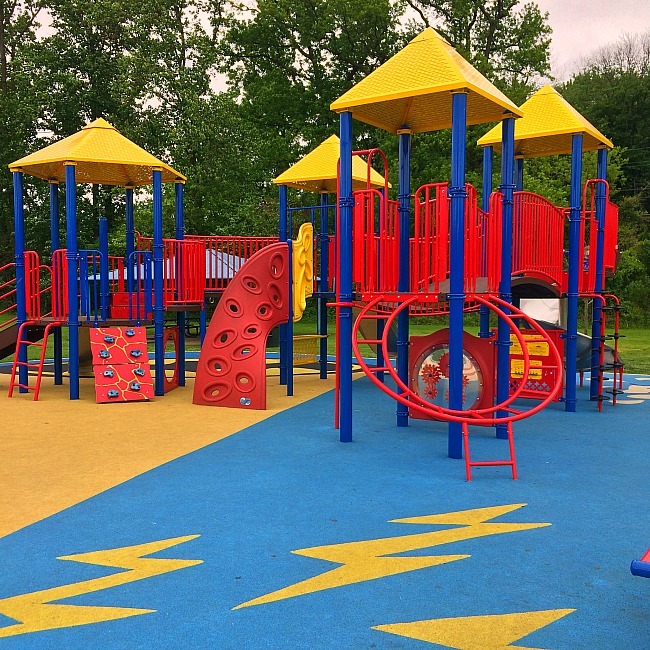 The playground is located at the South Bowie Community Center so there are likely public restrooms in the community center. This is small, fenced in playground. Regardless of where your kids are playing, you should have line of sight and it is very safe. The dragon is probably designed more for older kids and the castle for younger kids, but your toddlers will want to climb all over that dragon! No swings– so if that is a positive for you, you can thank the City of Bowie for removing the proverbial candy from the grocery store checkout lane. This playground backs up to a forested area and there is both plenty of shade and plenty of seating for caregivers. There are sports fields at the community center as well. This playground was probably the busiest playground (well, after Walker Mill Regional Park) we played on, but that was not a detractor at all. The kids had a blast playing tag and hide and go seek here! So yeah, this playground is perfectly situated for an impromptu play-date. The downside is that on a weekend or after school there will likely be tons of kids here– and the playground isn’t that big– so it could get too busy. Why so busy? It is located at the Tucker Road Athletic Complex. This complex is huge and very busy. The parking lot is HUGE. Don’t make the same mistake we did and park in the first spot you come to.. because you will be walking a long distance to the playground, which is at the far end of the parking lot. In addition to tons of sports fields, there is an ice rink, and a walking trail. There are public restrooms, kind of. When we were there, the sinks were not functional. They were actually really gross.. like someone dumped mud in them. I am assuming that was a temporary situation brought on by a busy spring day. Just be aware. This playground was not fenced in (not necessary as it is surrounded by fields) but it shouldn’t be too hard to keep track of your kids. This is a super fun theme that is great for kid’s imaginations. They can climb up crates, , scale netting, find the treasure, pretend to be the captain, and slide down a tunnel. There are plenty of big kid and toddler swings. The cute tot lot area is also themed, but go to this playground knowing your toddler will absolutely want to visit the main castaway ship. There is some shade and some benches, and picnic tables are nearby. This was one of the playgrounds I was pleasantly surprised by. We spent a good hour here and I had to peal my daughter away from those spinning pods (pictured below). 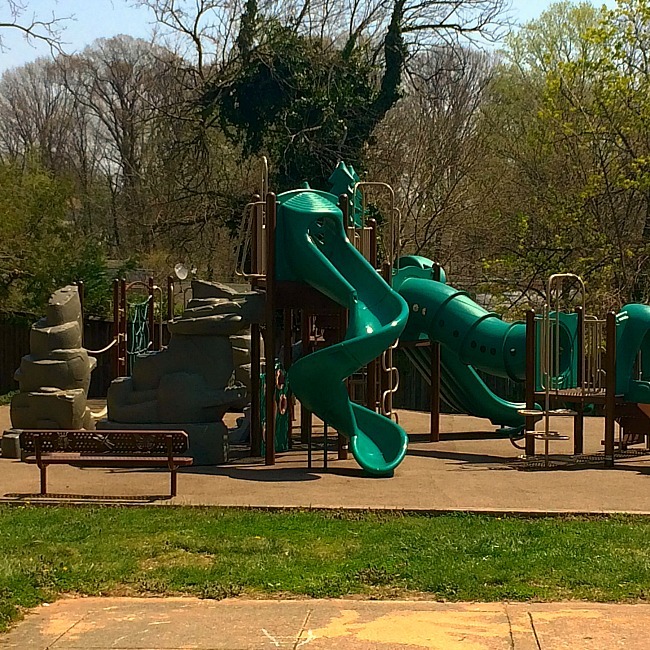 This playground is located in a neighborhood park. The neighborhood looks to be very densely populated and I imagine this playground can get busy, but it is definitely clean and we felt totally safe here. And the theme. Oh my goodness, we loved the theme! It is a carnival and so there is a Ferris wheel climbing structure, bumper cars, a popcorn climbing wall, and a few bright carnival cut outs perfect for photos! The spinning orbs were the biggest hit with my daughter though. Bright colors and big enough that multiple kids could fit in at once. Also, they can spin pretty fast. When the kids fell out at the end of the ‘ride’ they were all staggering. Ha! We didn’t see swings at this playground, but there were plenty of slides. There are areas where caregivers can sit and there is some shade. Baseball fields and ball courts are next to the playground. The playground isn’t fenced in but it is self contained and there is easy line of sight to the entire playground. No public restroom facilities were evident, but there is ample parking and it is literally right next to the playground so that is convenient. Less than 5 minutes away there is a nice Chick Fil-A, in case you needed restroom and lunch options. We almost missed this playground because I could see it… but couldn’t figure out how to get there (more on that below). I am so glad we persevered though because this playground had a super fun theme. Pow! Bam! Wow! 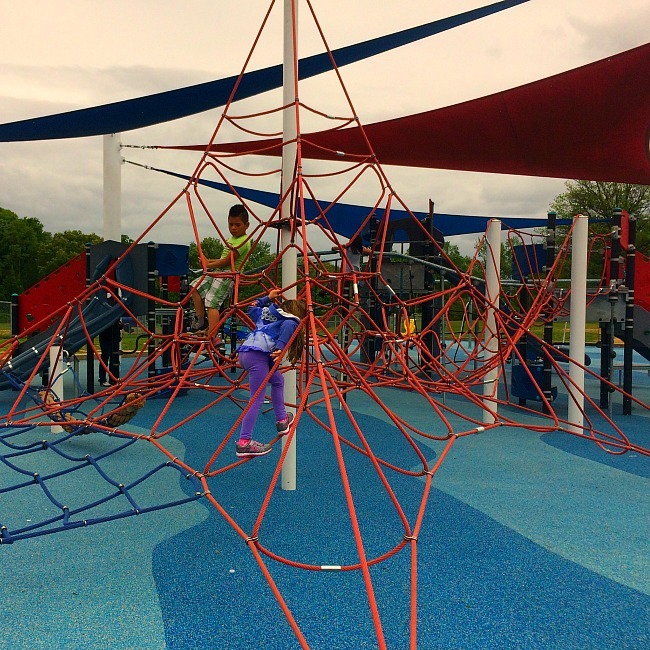 You will likely have as much fun as your kids pretending to be a superhero on this playground! But this is a super fun playground with a really cool theme, so your kids will want you to persevere too! Bring your costumes because they will definitely want to be Superman or Wonderwoman or Batman or even, I don’t know.. Pinkalicious! The playground parking lot is right next to the playground and there are public restrooms right there as well. There are plenty of swings for both big kids and toddlers. There are lots of interesting climbing walls that would be challenging for kids up to probably age 7 or 8. Also, there is one of those spinner things where the kids hang and you can spin them around. There are some fun slides at this playground as well. I would say this playground is geared more towards kids age 9 and under, but older kids can definitely have fun too! Did I mention it is a somewhat hidden playground? So yeah, it is really safe. There isn’t a ton of shade, but there is ample parking and there are ball fields surrounding the playground so your kids can burn energy that way too! As far as theming goes, the Indian Creek Playground at Berwyn Heights Park is definitely winning. 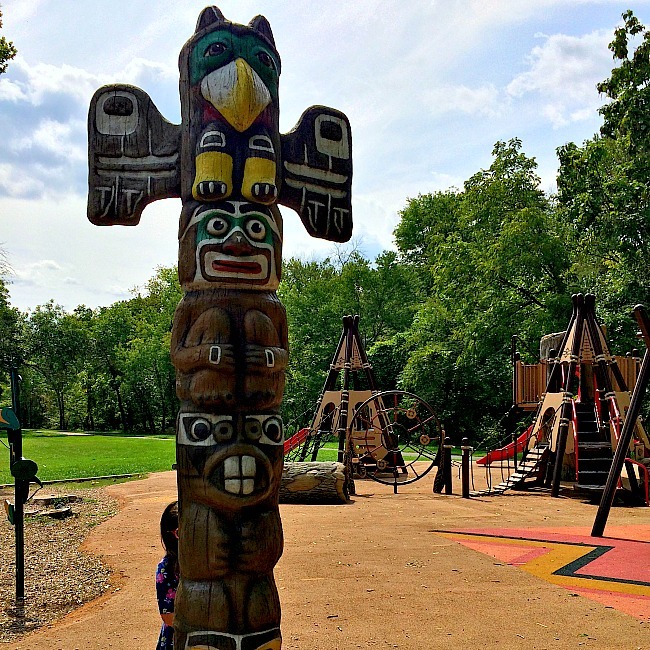 This playground is small but your kids will LOVE using their imagination to explore the world of the Native Americans. This is a small playground in a quiet neighborhood. There is plenty of shade and picnic tables on site. There isn’t a parking lot. But street parking is easy… it is a very quiet and sleepy neighborhood. There is plenty of open space for kids to run around and walking/biking paths that lead out of the playground area. This playground does have public restrooms on site. The Indian Creek theme is really just so much fun. Who wouldn’t want to play inside a tepee? Or climb through or slide down the inside of a hollowed out log? Do you see that drum table? Yep, we loved banging on that too! There is a mini corn field and even a canoe that kids can try out. There are big kid and toddler swings and plenty of slides. 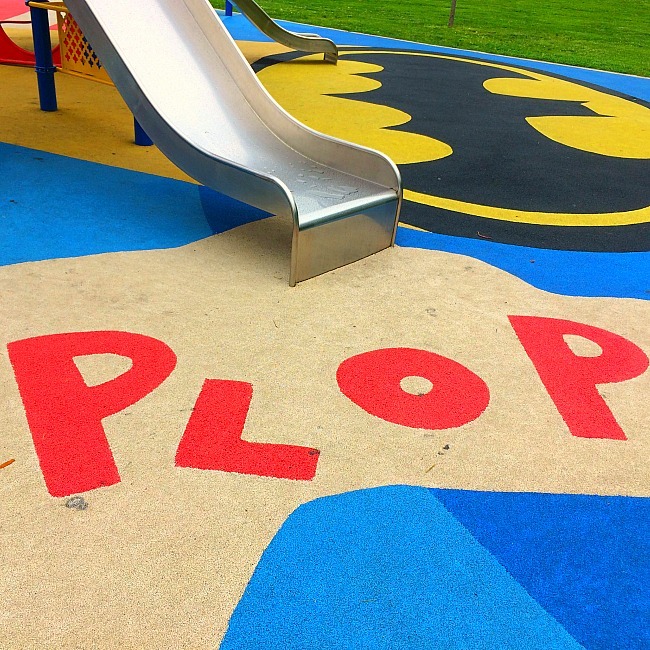 As with the Comic Themed playground, I would say this playground is best suited for kids up to age 9, but older kids could easily have fun here too! 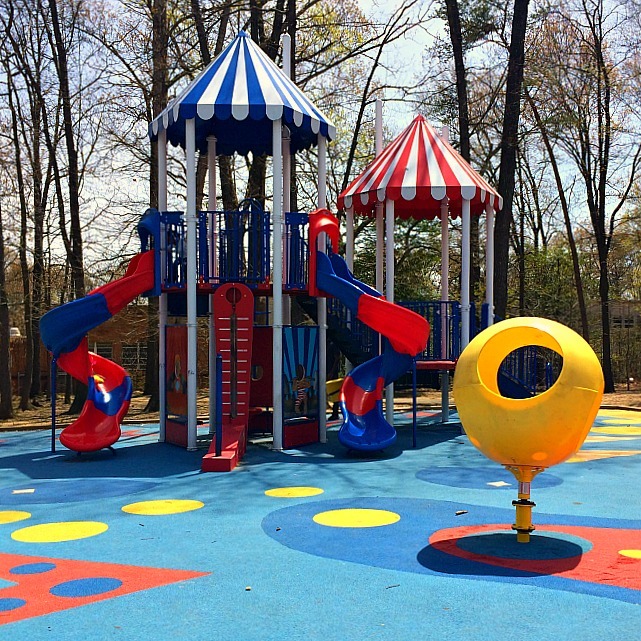 Your kids will definitely feel like they are being swept away to ocean fun on this nicely themed playground. There are many features that would appeal to younger and older kids. The playground is co-located with the Langley Park Community Center so I am sure there are public restrooms inside the facility (we didn’t use them though). This is a cool playground for little and big kids. For big kids there is a climbing knot, other more complicated climbing features, and a few big slides. 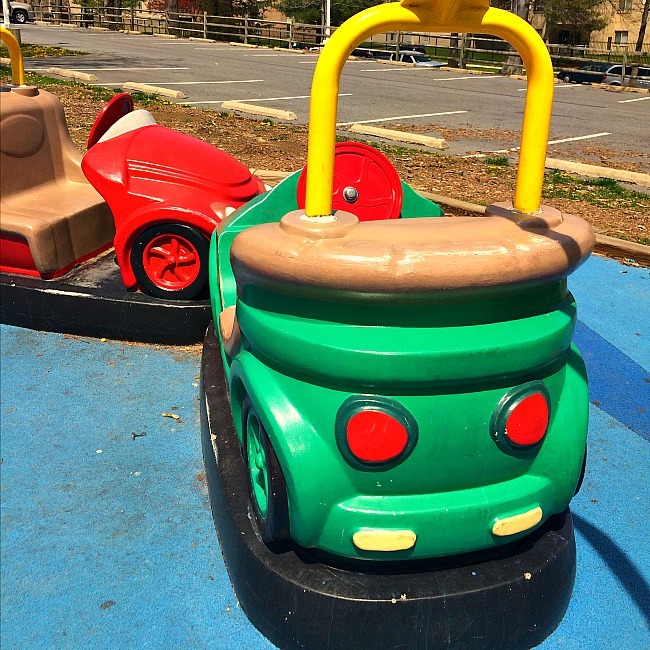 For younger kids there is a see-saw, a tot lot area, and some fun ride-on features. There are swings for older kids, toddlers, and kids with special needs. Parking is close and the playground is partially fenced in, which is a nice safety feature. The draw for this playground is not really the theme, because it isn’t really super themed. 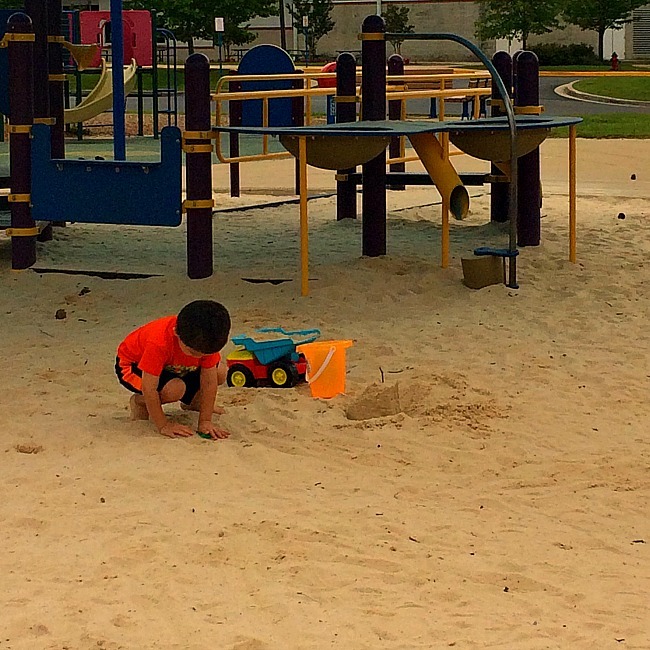 The draw is the giant sand play area that your kids will absolutely love digging into (pun totally intended). This playground is located at the Fairland Regional Park, which is huge. There are restrooms and snack machines located inside the ice rink on the other side of the parking lot from the playground. 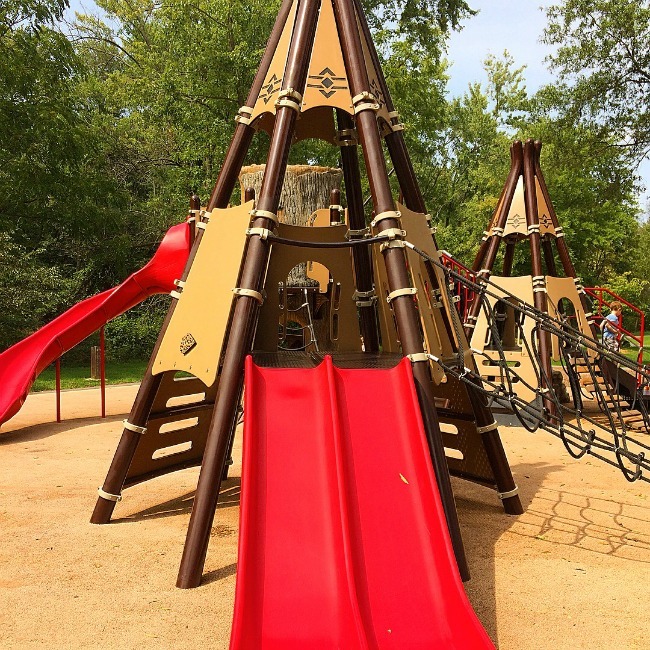 The playground is not super themed but it is an accessible playground, which means that there are plenty of ramps and features that would appeal to kids with mobility issues or new walkers. There are plenty of swings here for big kids, toddlers, and kids with special needs. For older kids (or adventurous younger kids) there is a rather complicated climbing knot that is fun. But that sandbox is the real draw. It is not really a sandbox so much as a sand area. There are sand diggers inside that area and kids will love digging around in there! Parking is very close to the playground and the park is safe. There were plenty of places for caregivers to sit, good line of sight, and plenty of shade. 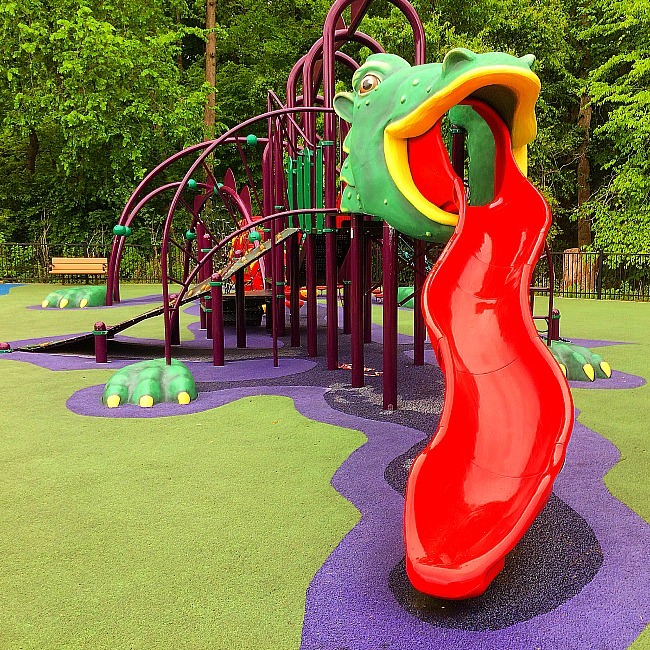 This cute little playground is the kind of playground you would never know about unless you lived in the Mount Rainier neighborhood… or were actively seeking it out. But wow, what a lovely playground! This is a great playground for younger kids, but older kids could have fun too because of some of the climbing features and that big slide. Parking is street parking but we didn’t have a problem finding a place right in front of the playground because it is a sleepy neighborhood park. The playground is small but nicely themed. It is a really cute playground. There are no restrooms that we saw, probably because it is designed for local residents. But the playground is safe and quiet.. perfect for younger kids, as long as they have gone potty beforehand. 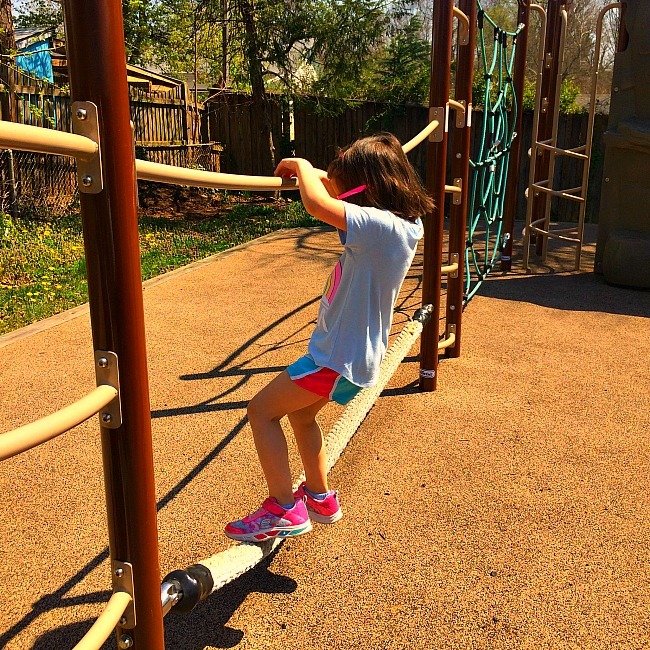 There are plenty of climbing features like fake boulders and a rope balance feature. The slides at this playground are fun, but there are no swings. Benches are available and there is plenty of shade, as well as line of sight. Bring chalk because there is a concrete slab (probably used to be a picnic table slab) perfect for some imaginative creations! These 8 imagination playgrounds are amazing. And there are 17 more! Why not try to visit them all? 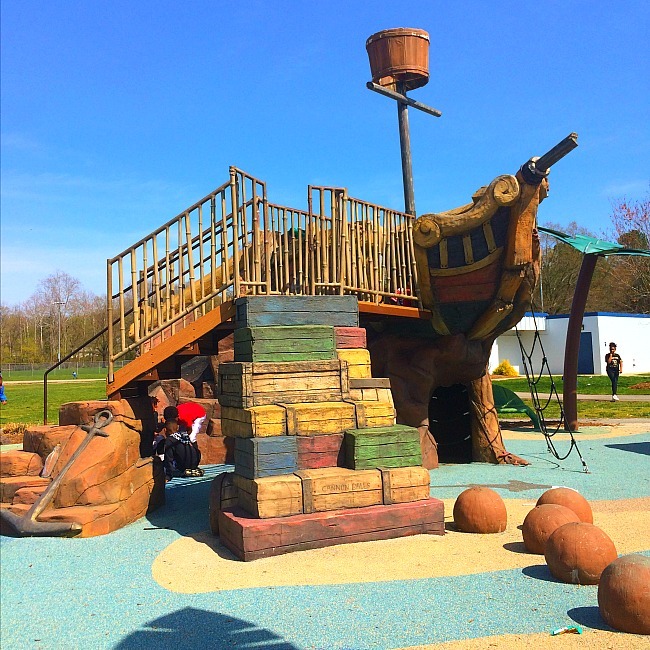 Previous Post: « These Nine Prince George’s County Imagination Playgrounds Are Simply Amazing!